Xerjoff is notorious for its astronomic prices and focus on luxurious packaging. So I did not actively seek out to try the line, to keep myself from temptation, but somehow samples kept finding me. A phenomenon I have also heard about from a friend. I was quite happy though that none of the ones I tried, appealed to me with the exception of Irisss, which is sublime, but I felt Iris Silver Mist by Serge Lutens was a perfect dupe that worked even better for me, especially when it comes to affordability. Xerjoff makes a bell-jar seem practically free. Until – again by chance or serendipity – Lira entered my life. This was love at first sniff, and I could no longer ignore the existence of Xerjoff, this was greatness I smelled right there on my arm. 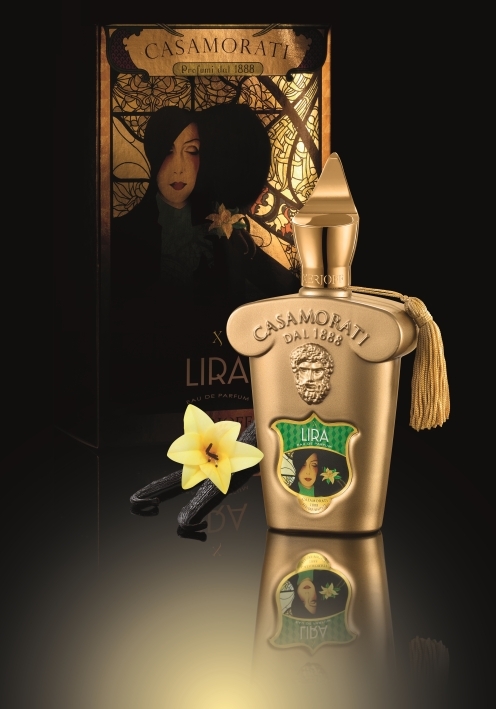 Lira includes notes of bergamot, red orange, lavender, licorice, jasmine, rose, cinnamon, vanilla, caramel and musk. What is stunning from the start is that – unlike in many other perfumes I have tried – I can smell every single note that is listed. The unfurl before my nose like a flower opening in the sunlight seen in fast-forward. There is bergamot, orange, lavender at first, imparting a fresh start, almost immediately though licorice and spices peek through setting the mood to oriental-gourmand, rose, jasmine – something I swear is the banana-tinged creaminess of ylang-ylang – follow broadening the scope of the perfume and adding the balancing dimension that keeps Lira from being too sweet and edible. Caramel and vanilla paired with a soft musk kick in last, making the scent very sweet, but through some feat of perfumery Lira is not a heavy scent. It reads hardly as light when you look at the notes list, but it smells utterly scrumptious while being transparent and somehow calories-free. I have been wearing Lira in these hot June days now and it works very well in these temperatures without being too much. Sillage is tame, staying power is excellent though, I can still smell it in the morning when I apply it before bed. Also I might add that I have not had a better nights sleep in years, than when wearing Lira. As I said every single note is discernible to my nose, but the perfume is still well blended, there is a smoothness to it, a shiny surface, like a well polished stone. In its heart Lira reminds me of Penhaligon’s Amaranthine, the floral aspect seems similar, the base is all gourmand-oriental though, no naughty elements here, but cozy and comfy, sweet and spicy, eyeroll-inducing loveliness. Lira relaxes me, makes me let go of my worries and breathe deeply. What a great smelling sleeping aid it is. Lira is available directly from the Xerjoff eboutique which have taken a liking to, since they offer free shipping within the EU and they have discovery sets of all the sub-lines. I will test the others in the Casamorati line as well, from the sound of it, there are many among them, I expect a lot from. Watch this space! This entry was posted in Floral, Fragrance Reviews, Gourmand, Oriental, Spicy, Xerjoff and tagged Casamorati, Floriental, Fragrance, Gourmand, Lira, Perfume, Review, Xerjoff. Bookmark the permalink. Hm, am I the only one here who doesn’t like the bottle ??? I sooo not want to try Xerjoff. I have enough with Amouage pushing my budget. Lira sounds definitely tempting. Thatnk you for another lovely review. Lira sounds wonderful and the idea that it aids in a good night’s sleep on top of all that is very tempting indeed. Lovely review! I also have been avoiding because of the over spendy aspect but when something is this good, you must take notice. The discovery sets are quite reasonable, and very tempting! I wish more brands would make such sets. I think so too! And for once a brand us doing what we always want! 15ml bottles of everything! I love Lirs very much and yet I couldn’t describe the magic of Xerjoff better. It is the only house that can blend lavender well. I think those bottles reflect their age and that is okay. I hate elitism though and wish they would sell their wonderful fragrances in plain old glass. I see no benefit to snobbery , why not sell to the very rich and not rich as well. I am so glad Dimitri alerted me to the sample sets which are well worth the price. Xerjoff were very polite and the sets arrived in the U.K in two days. Maybe they are changing mind set now and will sell in cheaper bottles ,let’s hope so the World has changed keep up with it. Thank you for that lovely comment, Angie! I totally agree with everything you say. My experiences with the perfume as well as with the people behind the brand have been great so far. Maybe there is hope for some change, bu in the meantume those discovery sets are indeed great value and they sure made it onto my wishlist. Richwood sounds divine, edible patchouli – hmmm. I look forward to hear about it from your point of view. I’ll try to stay away from Xerjoff as long as possible: I do not want to pay for sampling something that is way beyond my perfume budget. I’m not opposed in principle to paying for something that I love and absolutely want to have but I do not want to put a special effort into creating that lemming. I totally understand what you are saying. I almost wish I hadn’t smelled it, but I am enjoying Lira immensely, so I am happy anyway. 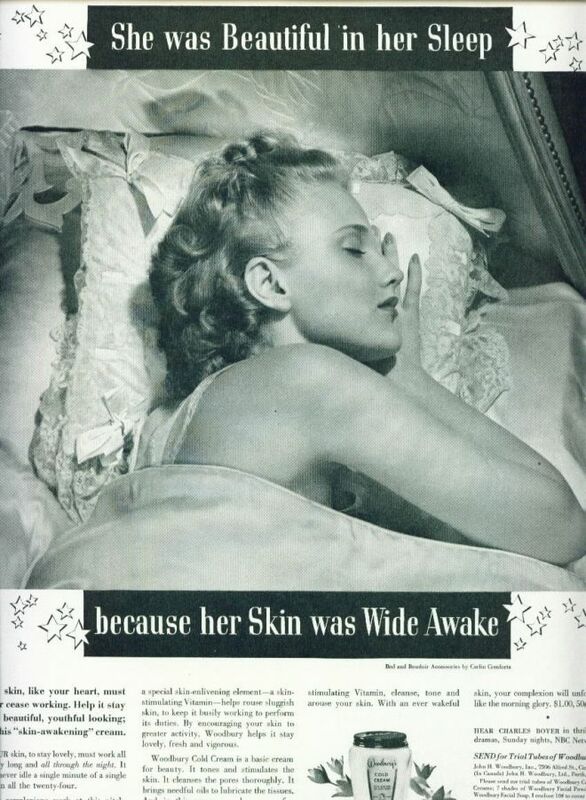 I love hearing about perfumes that enchance sleep. Of course, I realize Lira may not work like that on me, but I love knowing it worked for you! Happy dream time = happy awake time! So true! A good nights sleep influences the entire day! Maybe that is the main reason I am so enchanted with Lira… and it smells so damn good too. 🙂 Do you have any sleep enhancing perfumes to recommend, Joan?